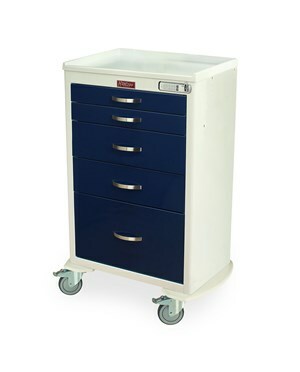 Harloff's Classic Short Five Drawer Emergency Cart is designed for the long product lifespan at an affordable level. Its sturdy, uni-body steel construction and durable, hard-baked powder coat finish makes for an incredibly strong and reliable cart - and with a 12 year warranty standard, you know it'll be the least of your worries. 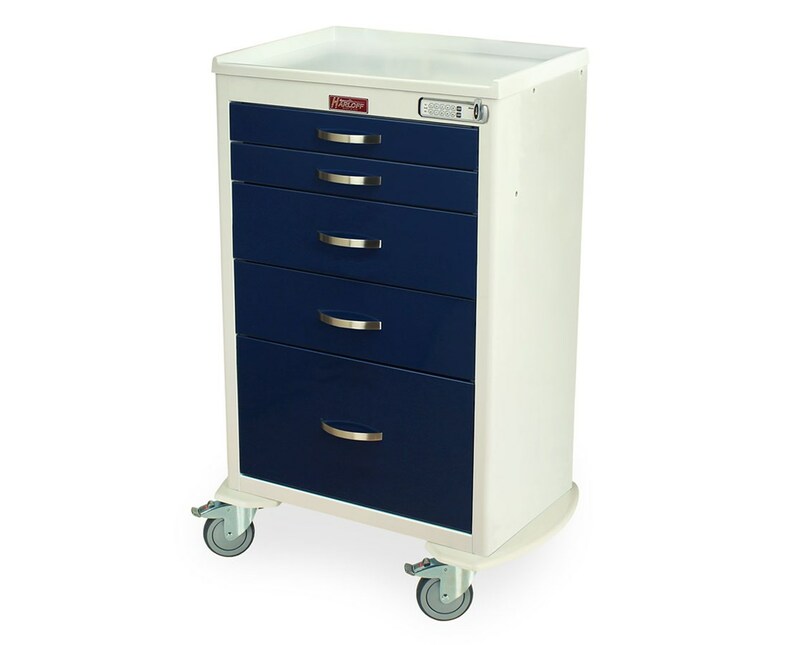 Versatility is a significant feature of this cart, with a cabinet and drawer design that allows for customized drawer configurations, 24" of vertical drawer space and a removable plastic top. Included are 3 3" drawers, 1 6" drawer and 1 9" drawer. We offer Harloff's Classic Short Five Drawer Emergency Cart with either the standard package or the specialty package, and in 16 colors as shown in this color chart. Select from the drop down menu above and order online direct by clicking "add to cart!"